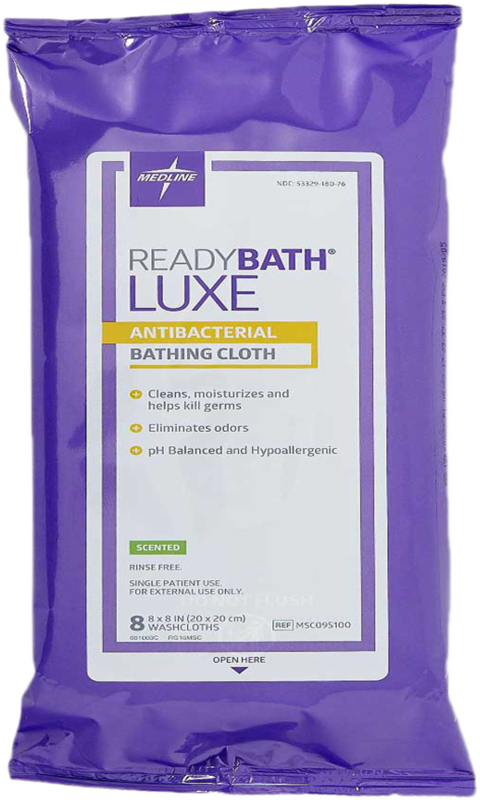 Ultra-soft cloth that is pre-moistened to cleanse and refresh skin. Contains dimethicone for a long-lasting barrier to incontinence moisture. This cloth soothes and protects skin. 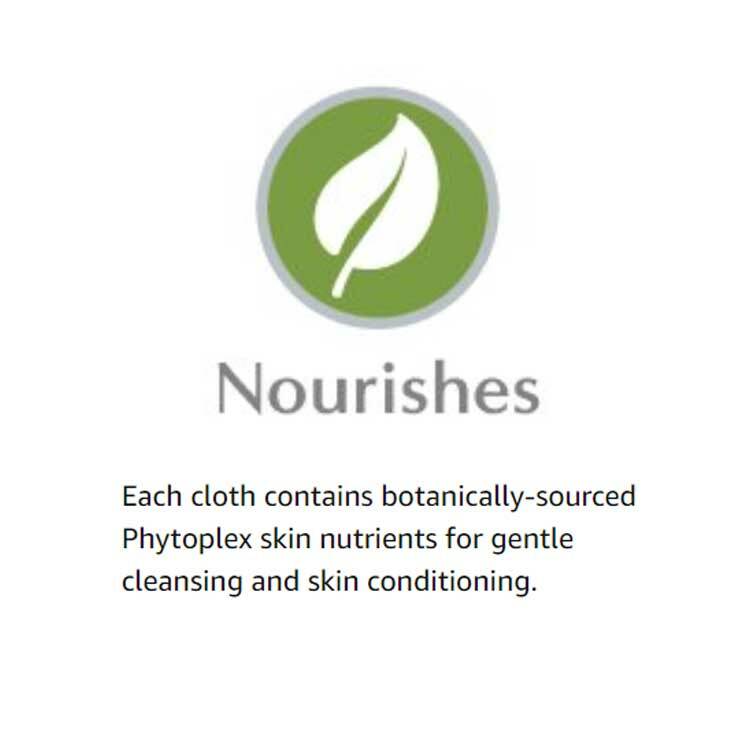 Each Remedy Phytoplex cloth provides botanically-sourced Phytoplex nutrients for skin conditioning. 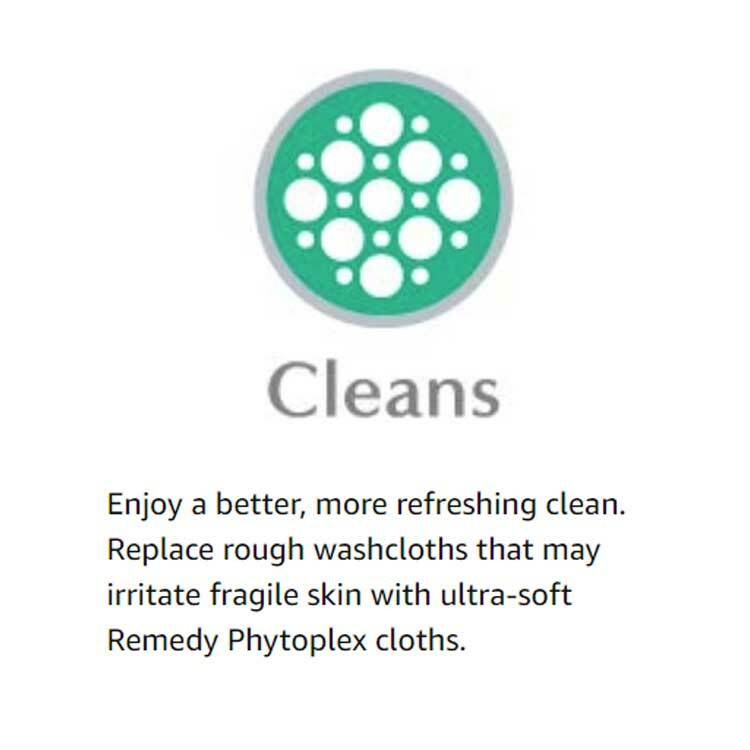 Remedy Phytoplex Dimethicone Skin Protectant Cloths are medium weight cleansing wipes. These wipes clean, moisturize and protect skin. 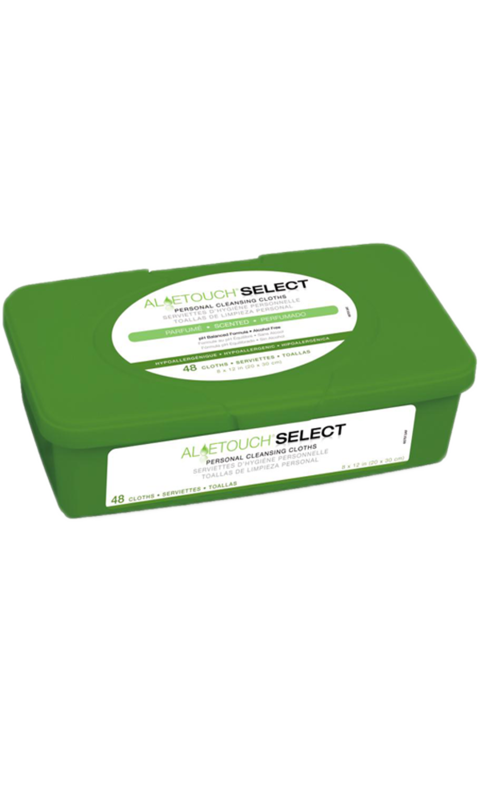 It is hypoallergenic to treat sensitive skin. Packaged in a portable plastic pouch, these washcloths are easy to take along with you where ever you go. Eight 8 x 8 sheets come in a pack. The lid is resealable. After using, they may be disposed into a trash receptacle. Designed for perineal care, these protectant cloths may be used on the entire body. The soft cloth structure is pre-moistened, containing a pH-balanced formula that includes dimethicone skin protection. 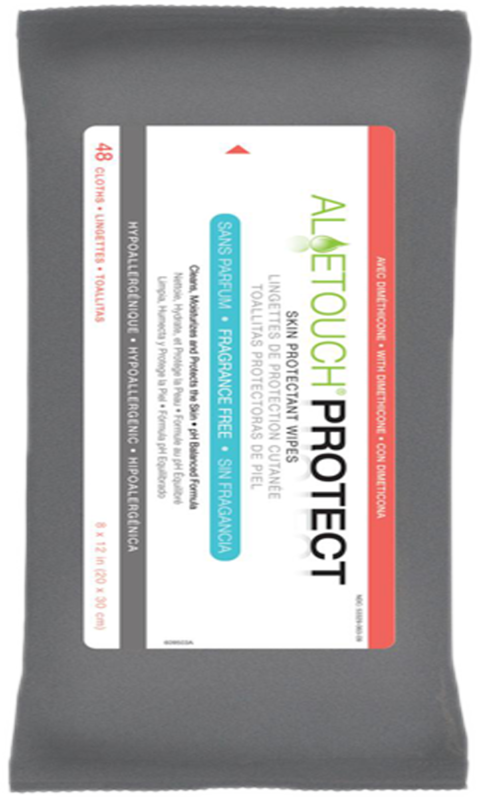 Dimethicone provides a thin layer of skin protection against incontinence. 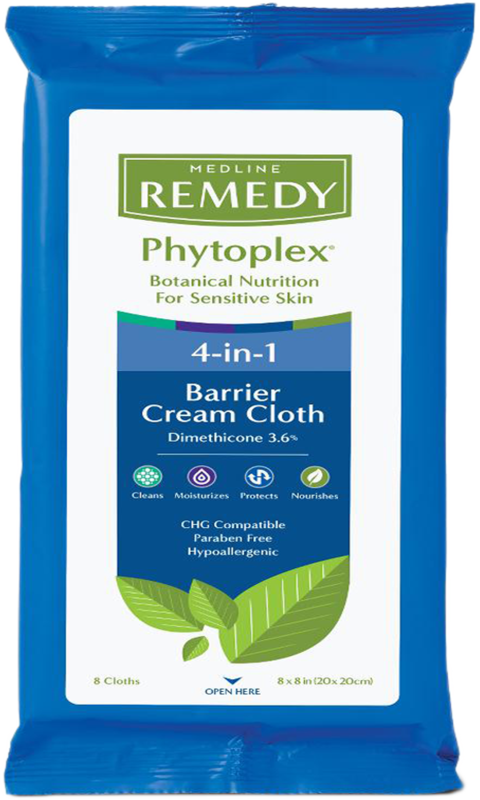 Tested by pediatricians and dermatologist, Remedy Phytoplex is hypoallergenic and nonirritating to the skin. 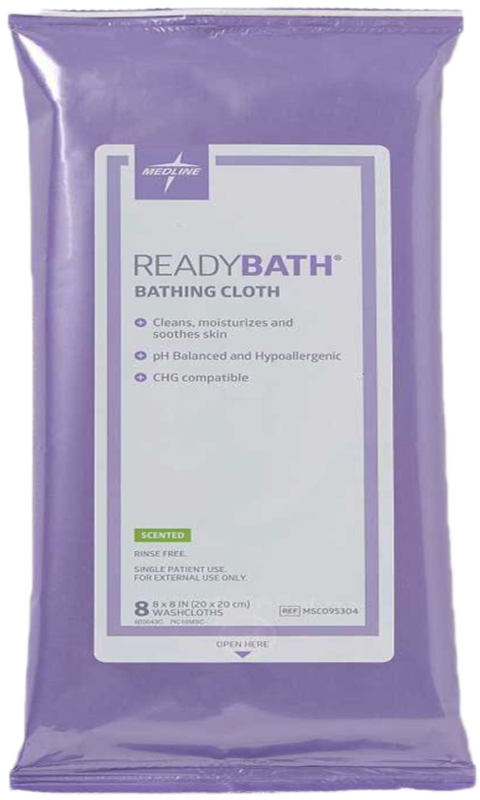 These cleansing cloths are manufactured by Medline. 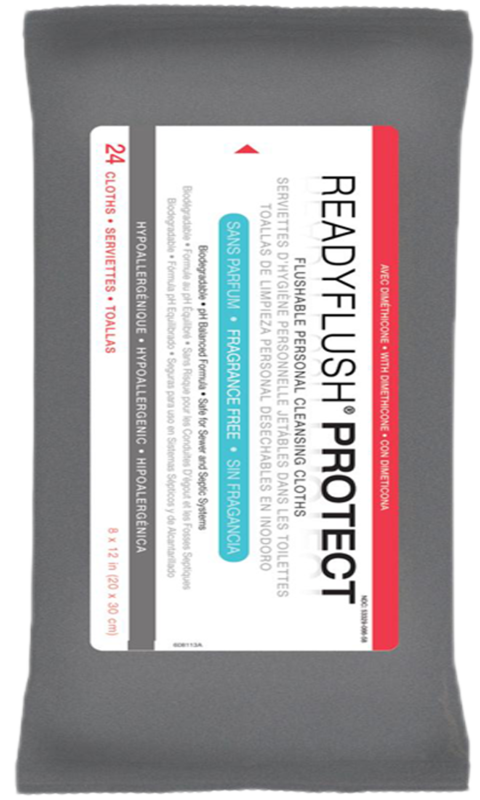 Medline also makes other protective wipes called ReadyFlush Protect. This cleansing washcloth also comes with dimethicone. 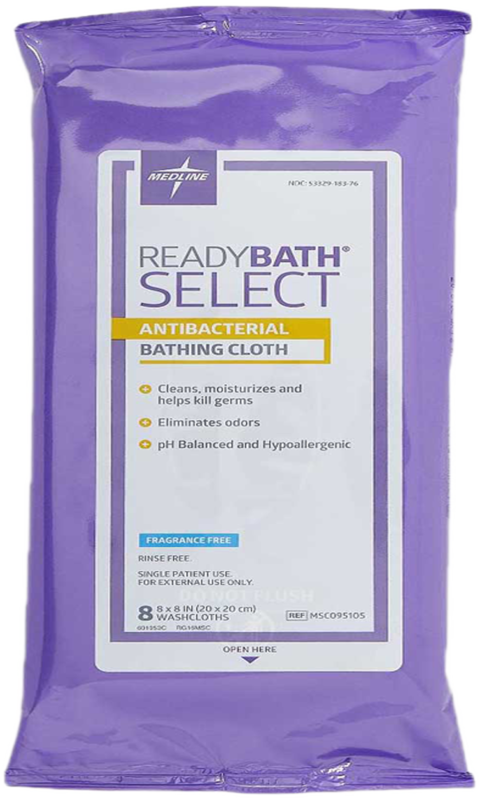 Medline also offers a thick disposable wipe called the ReadyBath Luxe. There is also a Rinse-Free Shampoo Cap and a soothing AloeTouch Bathing Cloth. Cloth Size: 8" x 8"
Hydrating Cleansing Foam - can be used on the hair, face and entire body to nourish, moisturize and soothe skin. 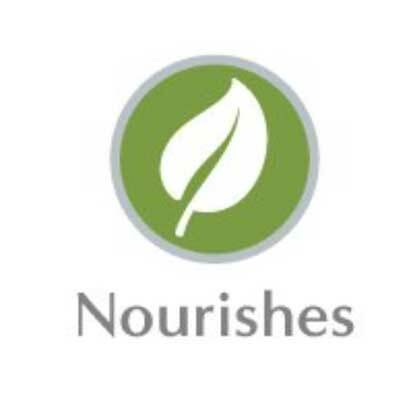 Nutrashield - provides a skin barrier against incontinence. 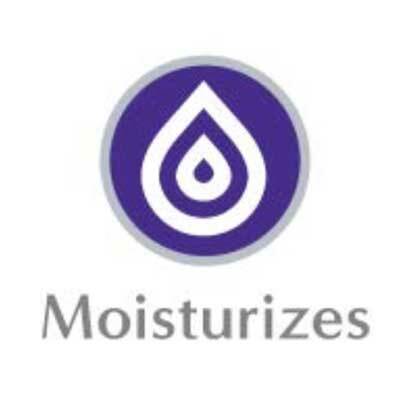 Moisturizer - is a nourishing skin lotion that restores hydration to dry skin. Hydraguard - silicone cream that supports the structure and integrity of compromised skin. Z-Guard Paste - used for relief from diaper rash. Antifungal Powder - an effective topical treatment of the most common fungal infections. 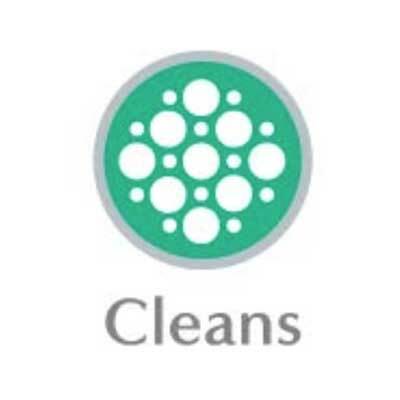 Brochure for Personal Cleansing Wipes provides features and benefits. 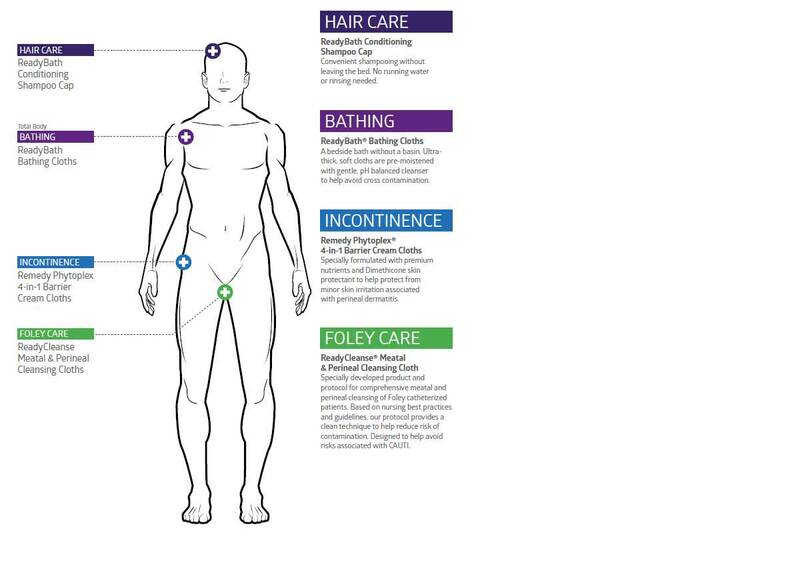 Brochure for Remedy Products provides features and benefits for Medline's line of Remedy products. Safety Sheet for Remedy Wipes contains material safety data. Does this product contain aloe? If so what %? The manufacturer does not list aloe as an ingredient. 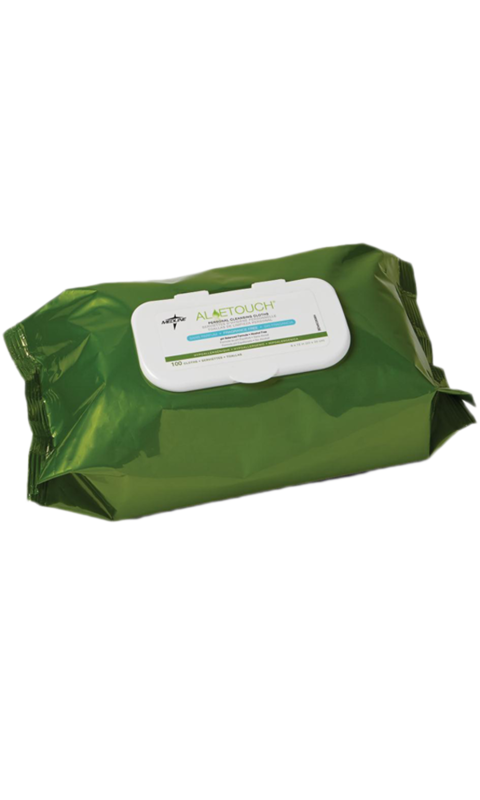 These wipes offer both preventive and curative quality. They feel good on the skin. 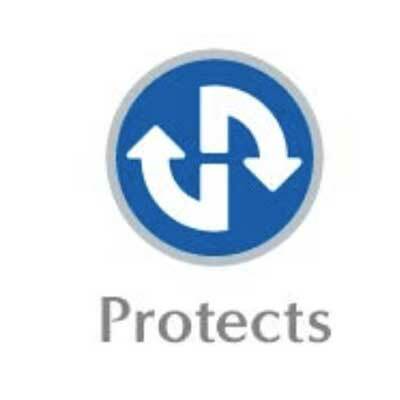 They prevent problems and have also helped fix problems should they occur.